The Philippines made international news when six million Filipinos attended a Mass celebrated by Pope Francis during his visit to Manila. It was taken as a sign of the intense religious devotion in Asia's largest Catholic country. Those who have been to the Philippines know it was also a sign of the warm hospitality that is so much a part of the Filipino psyche. In my humble opinion, the friendliness of the people is the main attraction of a visit to "The Pearl of the Orient." 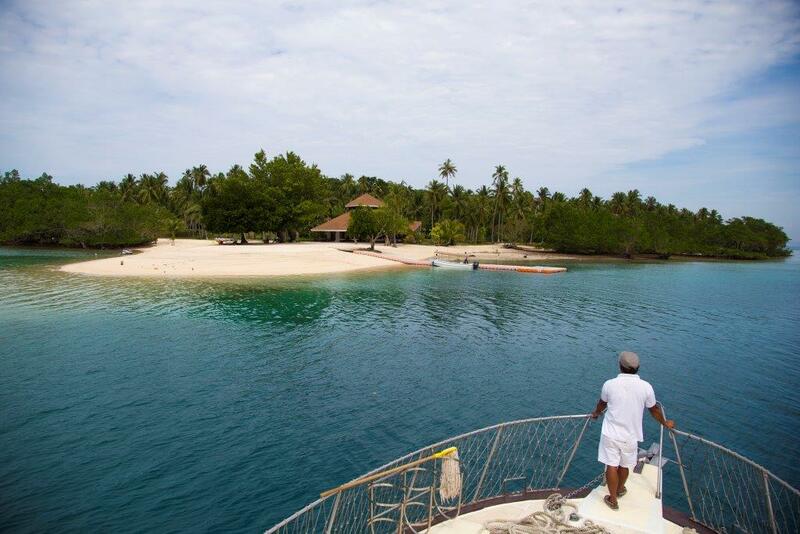 But that doesn't mean these 7,100 islands are lacking in the spectacular natural and man-made attractions that draw tourists in the first place. Far from it. 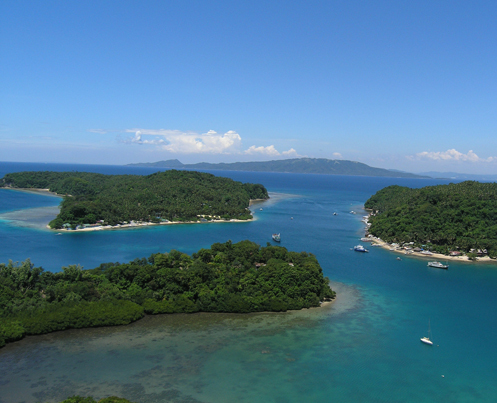 As an inveterate traveler who has been to the Philippines many times over the course of three decades, I thought prospective visitors might be helped by my perspective on what shouldn't be missed on a visit to these wonderful islands. Banaue Rice Terraces - There are differences of opinion among archeologists about the age and origins of this spectacular feat of engineering, but no argument that the terraces, carved with hand tools, are a remarkable cultural treasure. 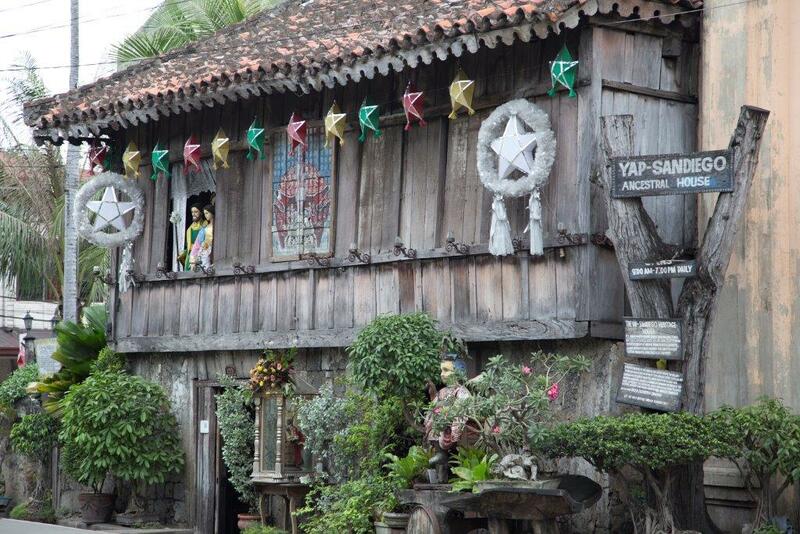 It takes a full day's journey to get there from Manila, but it's well worth the trip. 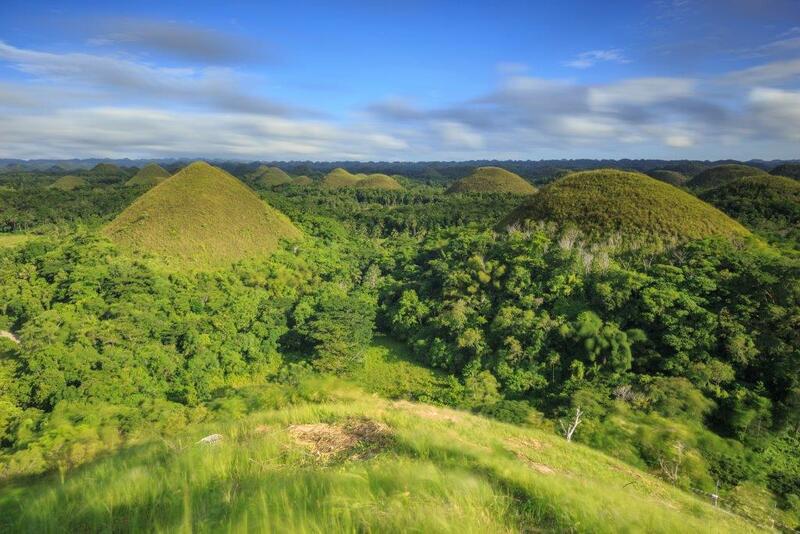 Bohol's Chocolate Hills - Also a Philippine national treasure, this phenomenon was engineered by nature. More than a thousand huge mounds of earth stretch as far as the eye can see, looking like a panorama of Hershey's "kisses." 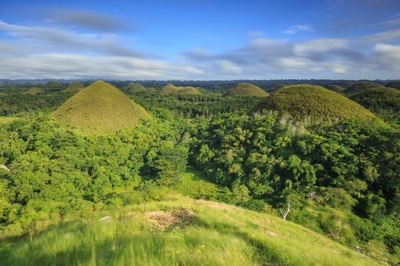 The mounds are said to have resulted from the uplifting of coral deposits hundreds of thousands of years ago. 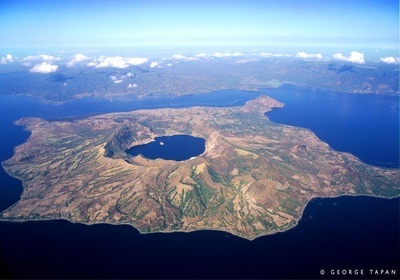 Taal Volcano - Filipinos call Taal the volcano within a lake within a volcano. The view from the Taal Vista Lodge, where you can enjoy a Filipino feast, serenaded by traveling guitarists, is a sight you'll long remember. The Taal Volcano can be visited on a day-trip from Manila. Corregidor - This island fortress in Manila Bay was where American and Filipino forces held off the might of the Japanese army for six months during the early days of World War II. General Douglas MacArthur uttered his famous "I shall return" after he was evacuated from Corregidor. A half-day tour of the ruins is a sombre experience. Puerto Galera - On the island of Mindoro, about five hours from Manila by bus and boat, Puerto Galera is well known as a prime location for scuba diving and snorkling, with some of the most diverse coral reefs in the world. Boracay - Famous for its long stretch of white, powdery sand, Boracay is the most popular beach destination in the Philippines. 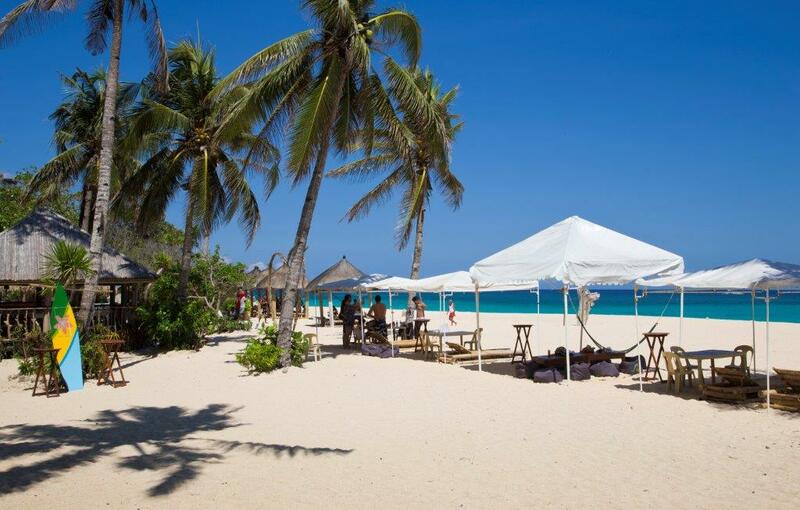 Boracay has numerous hotels and resorts, and a dazzling array of restaurants covering almost all cuisines. The Mall of Asia - One of the largest malls in the world, Mall of Asia, in a stunning location on Manila Bay, is the epitome of shopping in mall-crazy Manila. It also has an Olympic-size skating rink, a sports arena, a concert hall, a convention center, and the country's first IMAX theatre. Cebu - The "Queen City of the South" is the second largest city in the Philippines, but it has a less frenetic vibe than Manila. As the place where the Spanish colonization started, Cebu has many hstoric attractions, such as Fort San Pedro, the Basilica of Santo Nino and the Magellan Shrine. Davao - The largest city on the island of Mindanao, Davao is surrounded by a myriad of natural attractions, such as the Eden Nature Park, Mount Apo, the Samal Island beaches, and orchid and pearl farms. 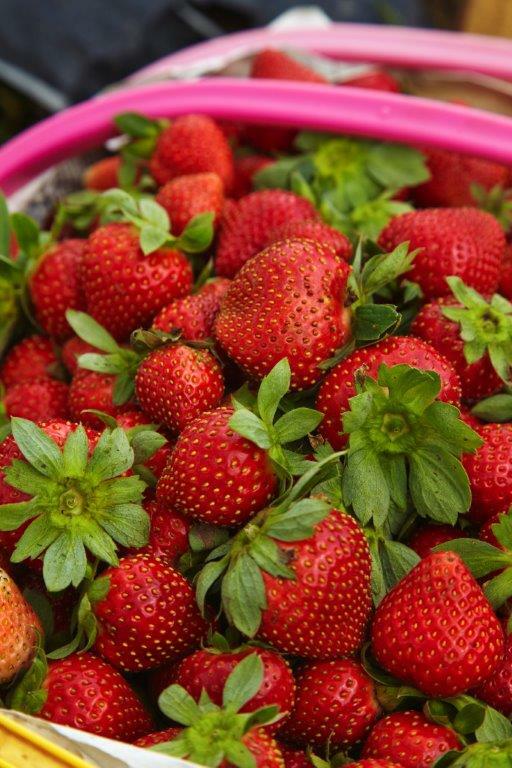 Baguio - Known as "The Summer Capital of the Philippines," Baguio is in the area called the mountain provinces, noted for its cool climate and pine trees. It's a six-hour drive from Manila, culminating in the steep and perilous Kennon Road, appropriately nicknamed "The Zig Zag." Attractions include Mines View Park, Camp John Hay, the Philippine Military Academy and Baguio Cathedral.